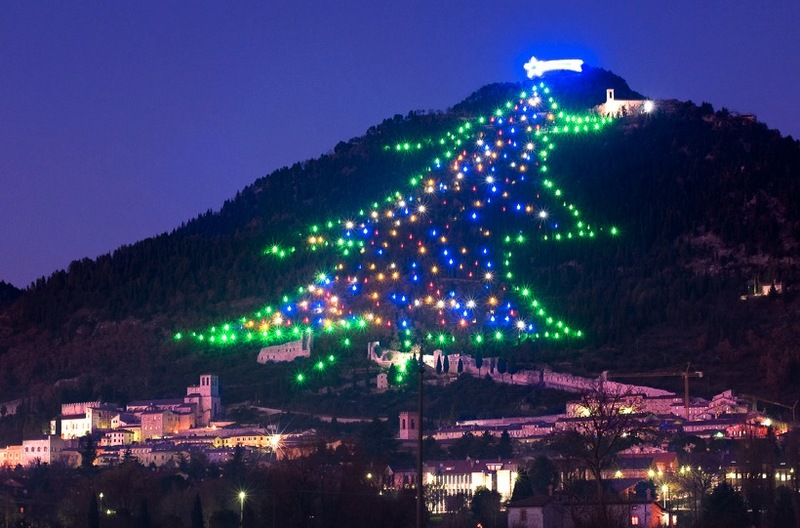 On 7th December every year a giant Christmas tree is lit up on Mount Ingino in Italy. Having broken the Guiness Book of World Records, the mountain's Christmas tree twinkles with 700 enormous light bulbs - I believe charged by solar energy - linked together with over 10,000m of cable. The tree stands around 650m high and is topped by a shining comet star which can be seen for nearly 50km. The tree stays lit until 10th January.